Our first priority is to keep water from intruding into your Condominium. Our application of high quality sealants, deck coatings, and wall coatings is crucial to ensuring a watertight barrier. The coating industry has come a long way, with a variety of elastomeric and high build acrylic coatings to choose from. 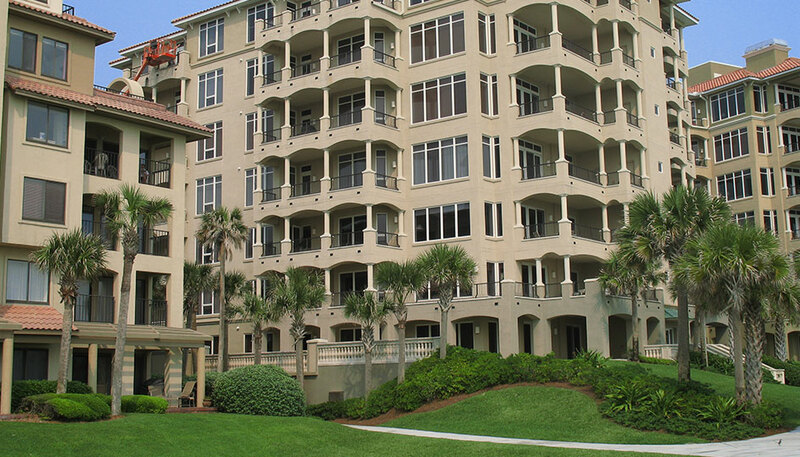 Polyurethane and silicone sealants also ensure that water does not find a way around window perimeters, sliding glass doors or any other opening that could allow water to enter your condominium. We will work with you to ensure water can not penetrate your building exterior. Blanchard also waterproofs elevated balcony decks and walkways, as well as courtyards and veranda decks. The most important aspect of applying a horizontal waterproofing membrane is proper application methods. The commercial grade waterproofing materials we recommend are proven in the industry – attention to proper preparation methods and following material specifications is the real key to a successful job. Blanchard Caulking and Coating stands behind every application with an industry standard labor and material warranty that gives our owners peace of mind. 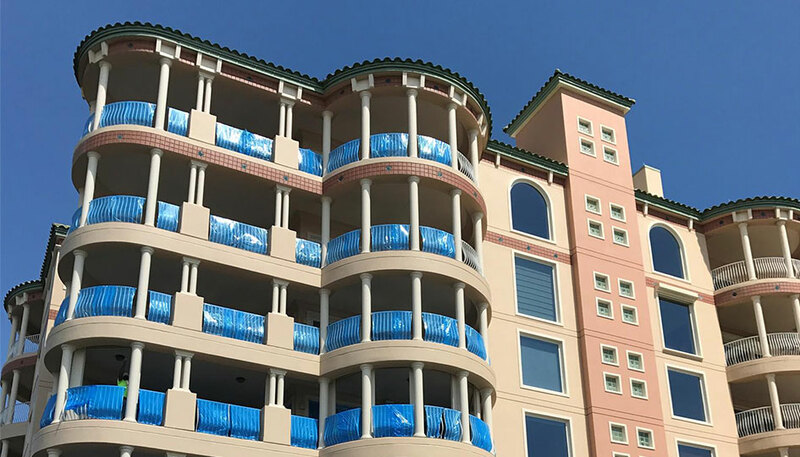 Our second priority, after ensuring a water tight barrier against rain and moisture is providing your Condominium exterior with the color style you have in mind. Our commercial grade coatings not only inhibit water intrusion; they can also be matched to almost any color want. Materials technology has come a long way in the options for patio deck and breezeway finishes. If you are looking for a deck coating that provides waterproofing and a decorative finish, we can help you find what you’re looking for. Undertaking a large project can feel daunting at first and we know how hard it can be working with contractors – but we are different. We can help you from the very beginning so that the process is seamless and even enjoyable. We will come out to you building and give you ideas as to what your options are. We can provide a quote so that you can budget your project. We can handle other trades because we are General Contractors. We will execute the work, communicating our progress as we go. And finally, we will only leave the jobsite when everyone is happy with the finished product. 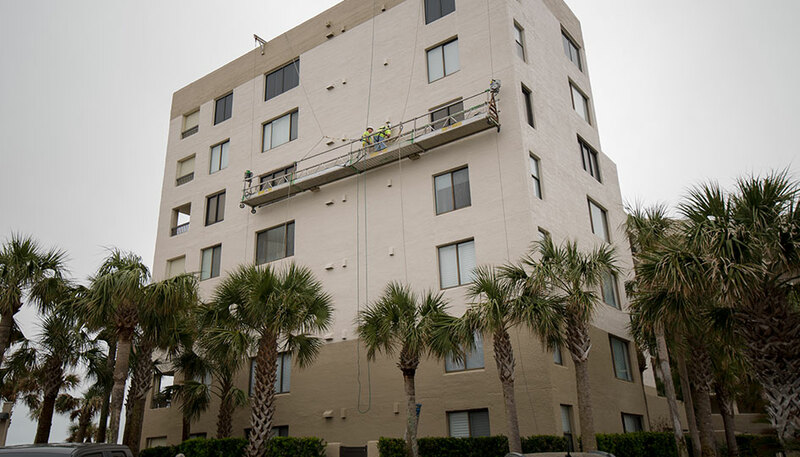 We have helped condominium associations complete their exterior coating and restoration projects for over 20 years. We enjoy working closely with property managers and condominium boards because communication helps us understand exactly what you want. Our workforce takes pride in the daily challenges of our industry and we look forward to working with you. 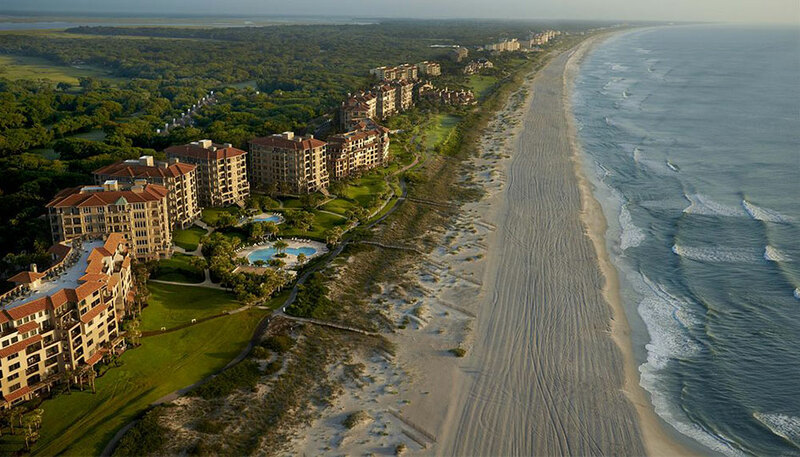 Technological advances in the waterproofing industry have enabled Blanchard Caulking and Coating to issue wall coating warranties as long as 10 years and some sealant warranties as long as 20 years. Our warranty claims are rare but if we need to come back to fix our work – we will. We know how frustrating it is to get a response from contractors, let alone a visit back to the jobsite once the work is complete. We get it. No one is perfect. If there is a legitimate mistake Blanchard will stand behind our warranties and remedy the problem.